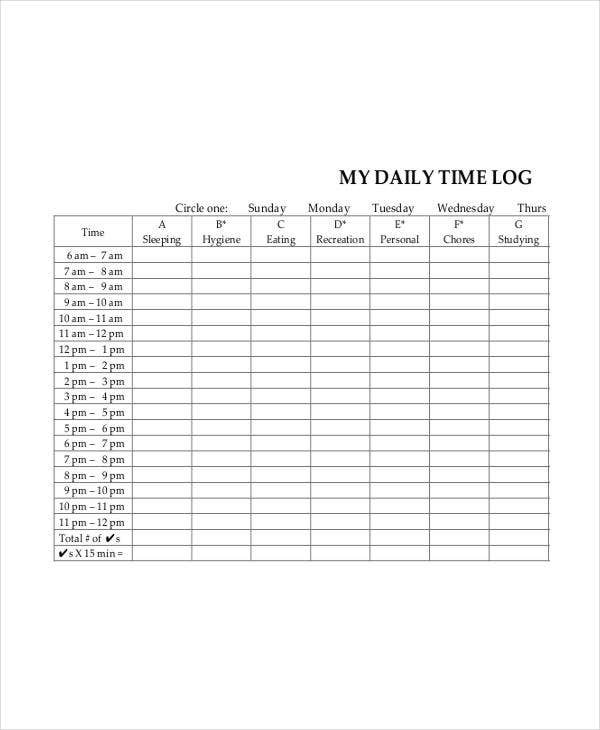 A daily sheet allows you to record everything in between the hours you spent and within any part of the day. You can use them to track your own progress or simply just see to it if you’re doing satisfactory and productive outputs in a day. This is not unlike Marketing sheet that businesses use to review the daily tasks that have been accomplished as well as those that are yet to be done. In much the same way, your personal daily sheet serves as both your record and guide. To add, you can also come up with objectives and goals to provide direction and purpose. 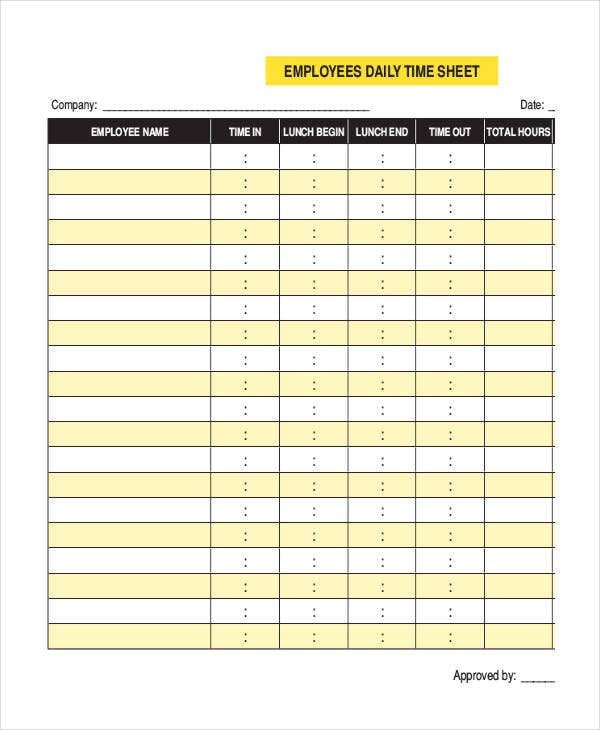 How to Write a Daily Work Schedule? 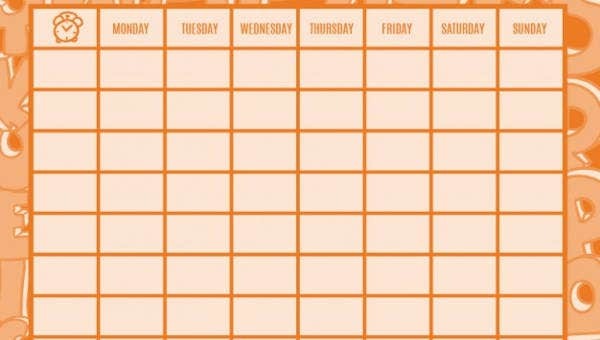 While most people adopt a flexible daily schedule, planning your work schedule will definitely get you disciplined. Below are steps to get you started with writing a daily work schedule. Plan ahead. Make sure you plan every single day ahead of time. Assess the tasks that you do on a regular basis and include it in your list of daily tasks. 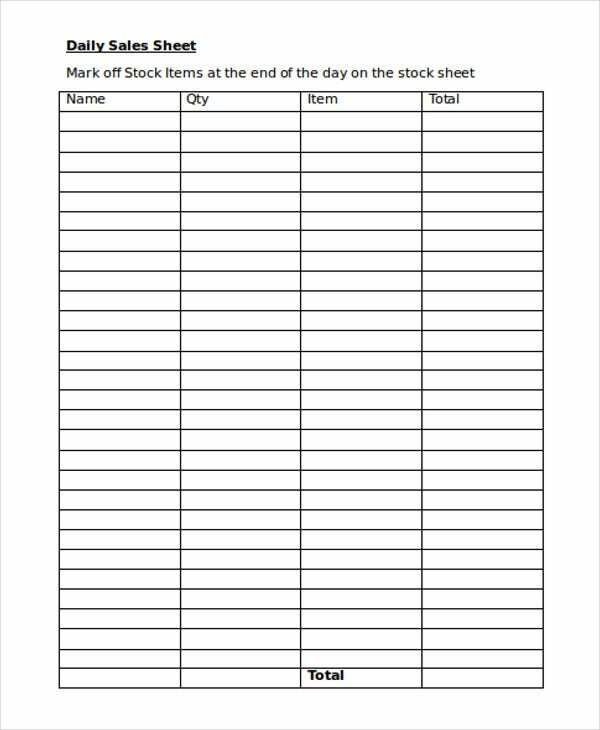 If you’re managing your daily supplies or needed materials, you can use Inventory Count Sheets to effectively monitor them. Turn your day into hours. Allocate time for each of your tasks in a day and get it done one at a time. 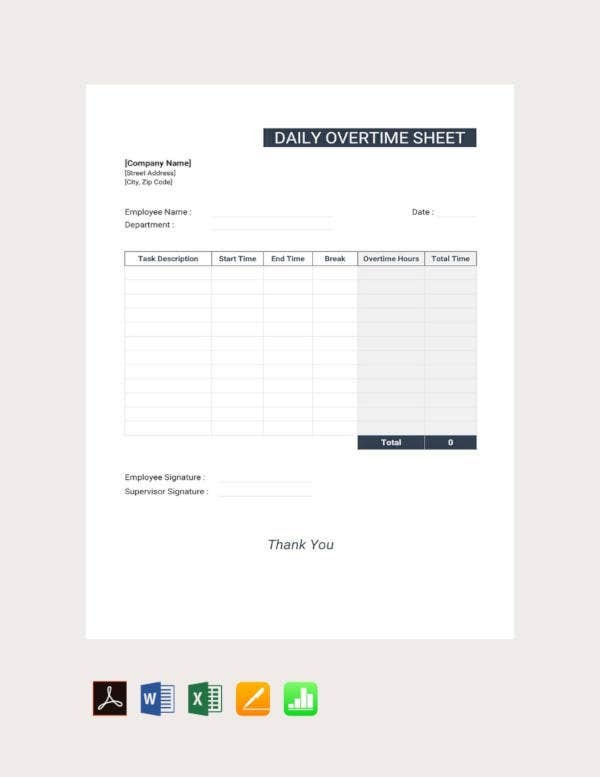 Attendance Sheet Templates can work well with your daily schedule specifically in employment and academic settings. Write doable tasks. At the end of the day you wouldn’t want almost half of the tasks undone, adding to your stress. Start with doable tasks and fulfill your everyday schedule. Improve your writing style. In writing a daily work schedule, you could always try on different writing styles so as not to get bored with the same patterns everyday. You could try filling sheet templates in Excel for a different format that could possibly match your writing style. We offer more than just free sheet templates on this post. 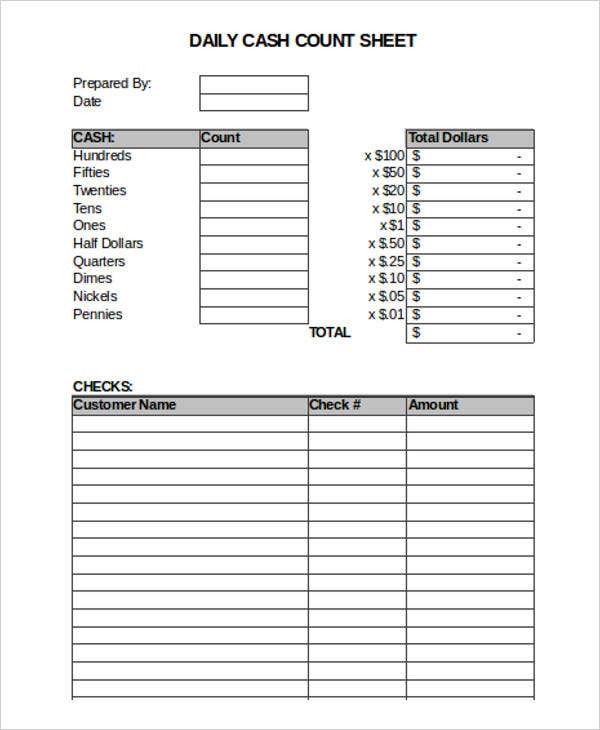 Our sample Balance Sheet Templates provide you a proper division of data and enough space for all the information you would want to add in your sheets specifically in dealing with financial matters. 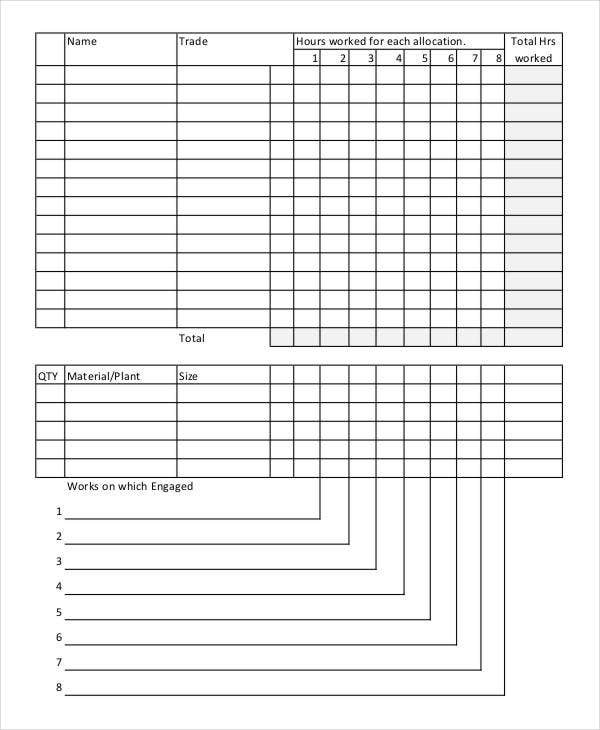 Time Log Sheet Template – Our time log sheet template is available in a comprehensive and well-categorized PDF file format. It has a proper breakdown of hours in a day so as to reflect corresponding activities per hour in a day. 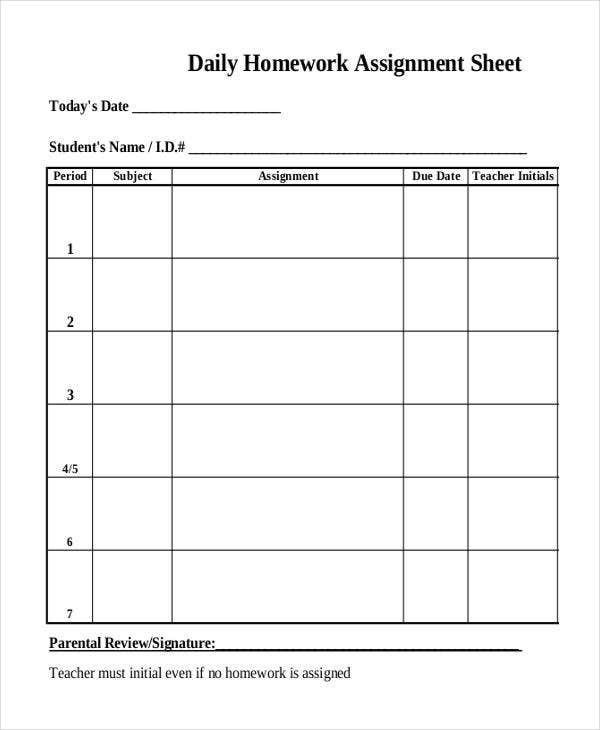 Daily Homework Assignment Sheet Template – By using this template, you can refer and use proper headings that will help you ensure that you input accurate and updated data in your daily sheets. 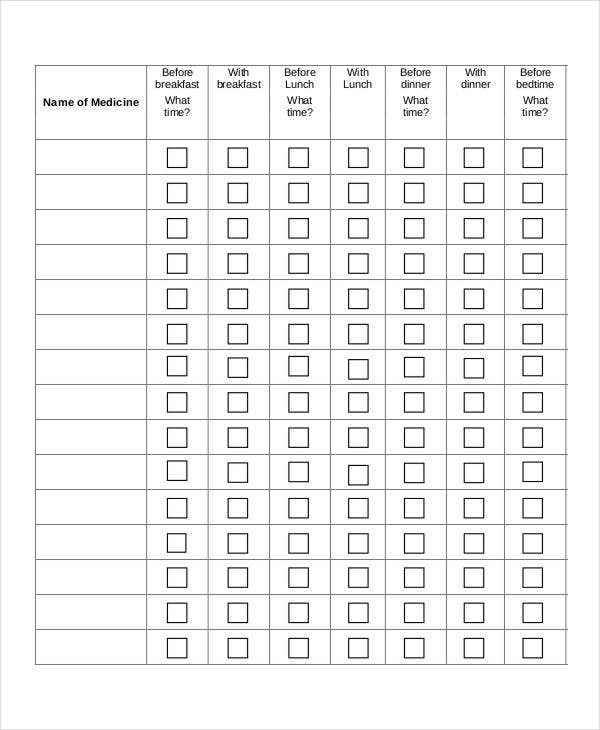 Medication Sheet Template – Daily sheets could also be ideal for medical purposes. 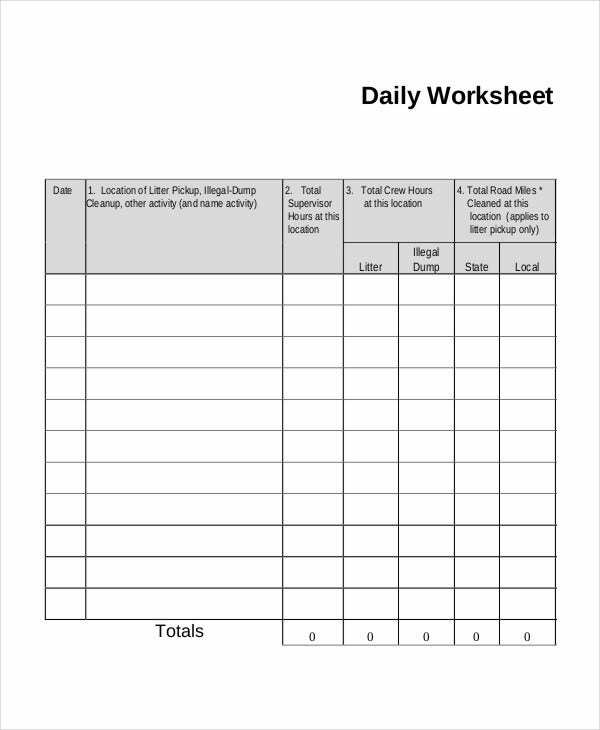 Our medication sheet template helps you monitor your daily or weekly medicine intake on specific time intervals. 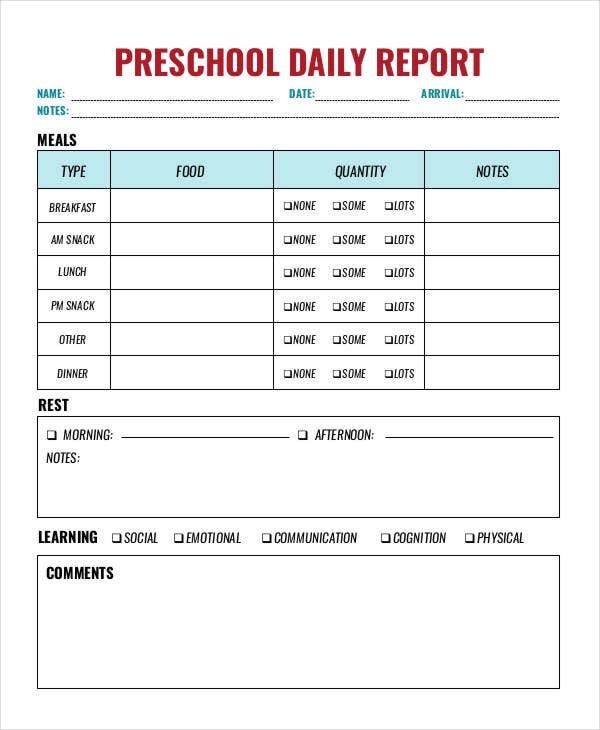 Indeed, there are an array of daily sheet templates that you can download and fill in to suit your preferences. You are also free to try a plain table to reflect your work schedule like those used in some templates. Either way, printable sheet templates are definitely convenient to use.